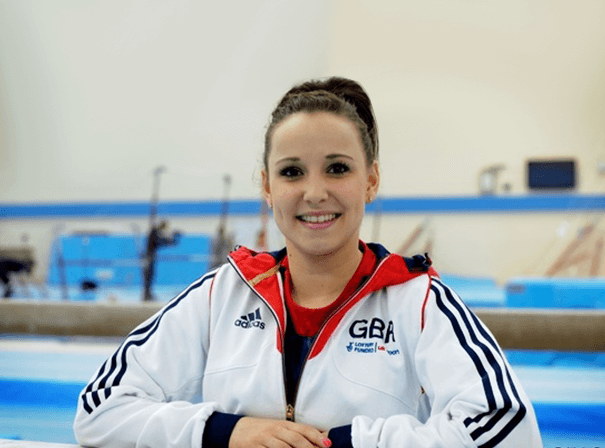 Hannah Whelan is a a British artistic gymnast who has competed at two separate Olympic Games. A popular and charismatic figure who is a of the faces of British sport, Hannah talks with great insight about her career and can entertain and educate audiences of all types as a result. Truly now one of the stars of British women’s gymnastics, Hannah first took up the sport aged just six and began her senior career back in 2008 at a World Cup event in Doha, Qatar. Her ensuing rise to the top of the sport has been rapid, and in 2010 she became British Champion for the first time having placed third in that year’s World Cup in Portugal. She is a consistent performer on all apparatus but her strongest are beam and floor. In her short career, Hannah has won a clutch of British Championship, European and World Cup medals and has represented Great Britain at the Beijing and London Olympic Games. Since those Games, when she contributed great scores to the team event, Hannah did the same thing at the 2014 Commonwealth Games in Glasgow and eventually went on to win a bronze medal. 56Still competing at the highest level, Hannah is a bubbly girl who can be an inspirational figure to everyone.